The first Tuesday in November my last two novels come out in paperback in Vintage. I am beyond thrilled, especially as I did not expect Inheritance to have a third rebirth. 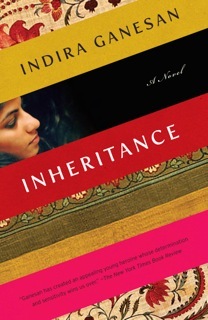 Beacon Press brought out my first novel as a trade book a decade after it first appeared, in 1990, in hardcover from Knopf, and they brought out Inheritance in trade as well. Now, thirteen years later, Inheritance will be back in a new paper edition. It is a young novel, in some ways younger in spirit than The Journey, not only because ita protagonist is a fifteen-year-old heroine. It features her relationship with a man twice her age, but the love story is really between herself and her mother. 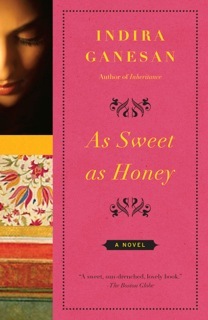 I am over the moon that As sweet As Honey gets a second chance in print. I am partial to softcovers, the pocket-sized books you can slip in a purse, that can bend with ease, and swat a mosquito if necessary. I can dog-ear the pages, jot down a phone number. Books are living things after all. Thanks, Ro! Happy navaratri! I made sundal on Saturday! Congratulations, Indira. This is such good news! Thanks, Julene. Hope you are coming out from the flooding.